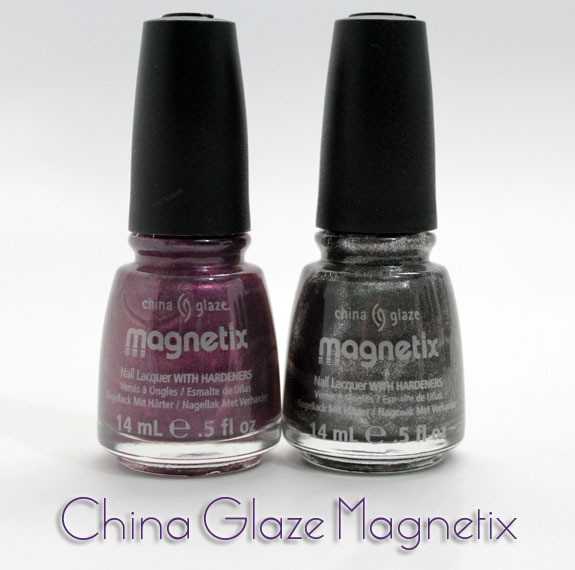 China Glaze Magnetix is a new six-piece collection of magnetic polish. Obviously. The shades in this collection are Attraction, Cling On, Drawn To You, Instant Chemistry, Pull Me Close and You Move Me. The magnet that China Glaze made to use with these has three different designs on it including a star, a chevron pattern and stripes. There is a handy little slot next to each magnet that sits atop your finger so it’s easier to keep the magnet from touching your polish. 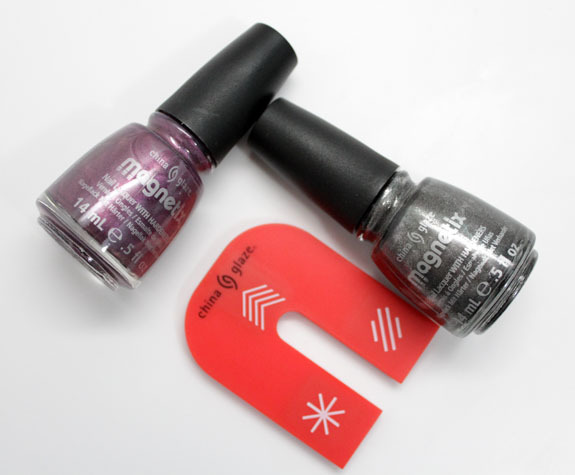 The rules are the same with this magnetic polish as the others. You paint one coat of polish one nail at a time. Then place the magnet right on top of your nail, holding steady for 5-10 seconds. One thing to note is you don’t want to hold it TOO close or the polish pulls off your nail and attaches onto the magnet. Attraction is a deep greyish black. This polish was thick enough and opaque enough to just use one coat and have it look good still. I used this with the star pattern. Drawn To You is a grape purple color. I wasn’t thrilled with the opacity of this color using just one coat. It was a little patchy and when I tried using two, the magnet didn’t work. So I wish it was more opaque, but it’s a pretty color. Here I tried the various magnet shapes. I feel like the magnet wasn’t as good with these as some others I have tried. Maybe it wasn’t strong enough? Some of the patterns don’t look as crisp and cut as I would like. Availability: Mid-February officially, but possibly at etailers sooner. Pricing: $10.00 each and the magnet is also $10.00. 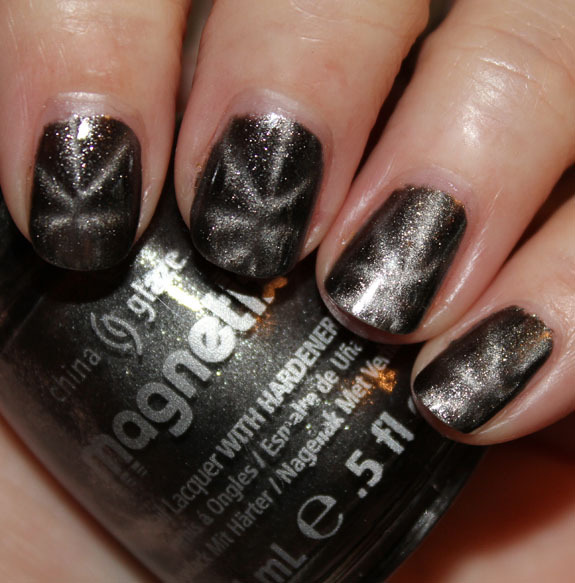 What do you think about these magnetic polishes? Are they too expensive for you to be interested in? Drawn to You is super wacky (let’s face it. I’m going to be all gaga about the majority of the remotely purple nail polishes I see)! I haven’t tried any magnetic ones but I should soon! I have the gray Nails Inc magnetic polish, and it works well. I also found some odd brand of magnetic polish at Rite Aid last week, and tried their green one. It’s $7.99 and comes with the polish and two magnets (wavy and straight). It works pretty well as well. I definitely want to try the China Glaze ones, but I’ve only heard iffy things about their magnet, so maybe I’ll just stick with the magnets I already have, although I would like to try the star design, which I don’t have. Which brand has a good star magnet you would recommend? Thanks for your review and swatches on these, Kelly! My mom fell for these, I hope she’ll let me try them out once her package arrives 😀 But one thing I do wish – that the magnets were cheaper. Or.. something. It’s just slightly insane to me since I bought one bottle and magnet for my mom, one bottle and magnet for a birthday present to a friend and one bottle and a magnet for another friend. I refuse to calculate how much that set me back. The colors are gorgeous and I love the faint designs. These look like fun to try. I think $10 for china glaze is too much. Plus another $10 for the magnet? Really? I have always had problems with CG chipping in a day. I have seen your nails look better with other brands. I will wait and try this when it goes on blowout and is $4. I jumped all over the crackle trend and kind of regret it. I will pass on the magnetics trend. It sounds fun but looks like more work than I am willing to put into nail art that I’m not really drawn to in the first place. I don’t think I like them enough to pay that much money. It’s a neat concept, but I’m already kind of “eh” about it. I look and sometimes like the softness of the magnetic blur – other times I just see it as a bad magnet that needed work before they released it like this. I think this fad is going to pass as soon as we all have spent money on the magnets etc. I have an unused Nails Inc that I just can’t get motivated to use. I’m sure I will try at least one. I like the 3 patterns on one magnet. Shame the design isn’t crisp & clean. I was very curious how you liked this collection because I’ve seen a mixed bag with the magnets. 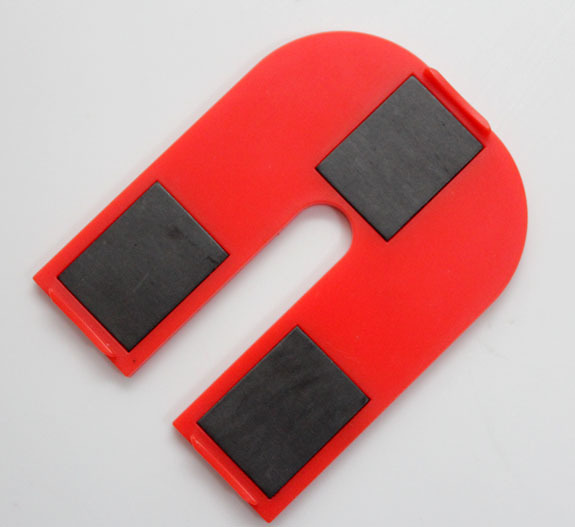 One review said they greatly disliked the magnet and another said it worked perfectly fine. I jumped on the magnetic nail polish wagon and dropped around $56 for a high-end brand. What a disappointment! I won’t be tossing anymore money at this trend. Kimberly´s last post…Jordana Nail Polish Glitter Polish Is All That! I bought this entire collection on head2toe last week and they were 4.60 each. I think it was nice of China Glaze to sell the magnet separately instead of upcharging for each polish to come with a magnet like all the other brands have done. Now after your swatches I’m just nervous that they won’t be as crisp as expected! the blue one shows up the most, so not sure if it’s because of the magnet. The magnet’s pretty strong imo, but that’s just my experience :O Seriously, try the blue one 😀 it has the best effect out of all of them except the green one – they’re about the same. I like the colors in the blue. I plan on picking up just that one color and using my Nails Inc. magnet. 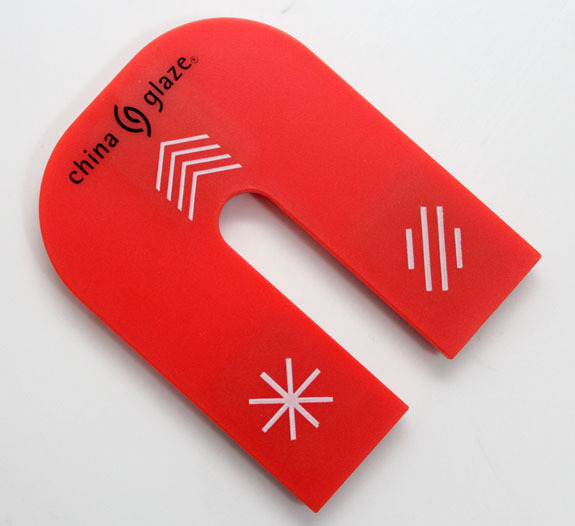 I’ve yet to find any blogger that said nice things about the magnet, the chevron pattern in particular. The idea intrigues me, but as with most nail art, I don’t know if I could be bothered. I change my lacquer every day, and I’ve got it down to a 15 minute job – this seems too… clunky, I guess. Perhaps if the colors were unique I’d be up for it. Duochrome Magnetix? I’d be all over that like a cheap suit! So far I’m not incredibly impressed with the magnetic polishes. I love how they look if the magnets work correctly (which I’ve seen from a few sources that ChG doesn’t very well). I bought 2 of the Nails Inc. which worked well and looked really good but returned them because they were completely chipped on almost every nail the day after I painted them. I’ve heard about a small, indie company that makes some so I may try those. I really want to find one that works well! I love magnetic polishes. But I think CG is a little to expensive especially because so may brands are jumping on the band wagon & I can find other brands that less expensive that work & looks just as good & the magnet comes with the the polish. I am torn. Colors look pretty. I have not had good luck with magnetic polishes. Patterns do not look “cool” they look like something is wrong with the polish. LOL. Maybe look bad because my nails are short, pattern does not have enough room. Still think colors are pretty, but a lot of pretty colors coming out now. Not sure if want to get another polish that does not “work” on my nails. ….but as a junkie, not sure I will be able to resist in the end! I bought 2 of these and find neither of them work well. I really like the colors, but the magnet itself doesn’t do a good enough job. Some nails had the design show up and others just looked blurry. The magnet was awkward to use. Prefer when the magnet is contained in the lid. I also have a Nails Inc. magnetic polish and it works very well. I just picked two of these polishes up today from my local Sally Beauty Supply. They retailed for 5.99 each and the magnet was 5.99 as well. There is promo going on now if you buy two polishes you get the magnet free. I have tried both of them out and like them a lot.